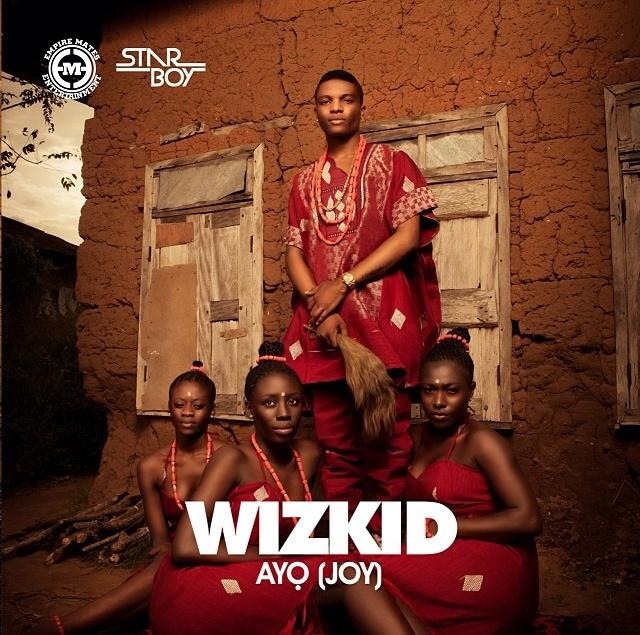 Late last month Wizkid pulled a Beyonce on us and dropped his highly anticipated album Ayo. The album is packed full with 19 singles, 6 of which were previously released leaving us with 12 new singles and 1 official remix (Show You The Money Ft Tyga). After taking 2/3 weeks or so to digest the album here is my official album review. The album kicks off with 2013 hit Jaiye Jaiye followed up with the Shizzi produced Show You the Money and most recent single In My Bed produced by South African super producers Uhuru. I must say this was a good choice of album openers as the familiarity puts the listener in a position where they can ease gently into the album and the new music. Next up Mummy Mi is followed by one of my three favourites on the album the Legendury Beatz produced Ojuelegba, the mid-tempo hit based around the name of a Nigerian “Hood” (according to my work colleague) rounds up the first quarter of the album. Tracks 6 and 7 Kind of Love and On Top Your matter form what I like to call the “Wedding section” of the album. Both singles were produced by Del-B and have that cross over affect which can get not just the youngsters but the parents and grandparents grooving on the dance floor. Next up In Love featuring Seyi Shay is followed by For You featuring Akon and produced by Uhuru. Now I’m not sure if the reason why I like this single in particular is because I am biased to Uhuru produced tracks or if I genuinely like the overall song, one thing is for sure, you will not be able to stop your head from bopping to this one. As if almost needed club hit Dutty Whyne featuring Banky W packs a punch (literally) and sits right in the middle to round up the first half of the album. Up next is my personal favourite track Ki Lo Fe. Produced by Shizzi, Ki Lo Fe kind of reminds me of the old Funky House tracks that dominated the London club scene between 2008 -2011. There’s something about the single that reminds me of Doneao’s I’m Fly and it just has that bubbling vibe to it (old school terminology) and it makes me very happy, the only downside is that the track is entirely too short wrapping up in 2 minutes and 30 seconds!. The album continues with Omalicha, Bombay featuring Phyno , One Question featuring Yemi Sax and Celebrate. Tyga jumps on the Show You the Money remix which does not come as much of a surprise as the two were spotted together whilst Wiz was over in LA earlier this summer, Tyga held his own even if I do think he was rapping a little too fast for his own good. As the album draws to an end the Maleek Berry produced Murder wraps up my three favourite singles with a perfectly fitting feature from Wale, the album titled single Joy brings the overall album to a close not forgetting the addition of bonus track Caro. Overall I would say this is a good body of work from Wizkid. Was I expecting a little bit more? Yes. Was I totally disappointed? No. I do feel that it was a little cheeky to have 5 singles we had already heard on the album but I also understand that Wiz has not released a full body of work since the 2011 release of his debut album Superstar so it is understandable. The album does maintain itself throughout and has a great balance of mid to fast tempo tracks which all seem to merge well collectively on the album. The choice of producers were great and there was some diversity in the features and for this reason I would rate the album 4 ½ out of five. With Wiz supposedly getting in the studio with Ty Dollar sign and Chris Brown and him also saying he has enough material to drop another album sooner rather than later I’m very keen to see what Wiz has to offer in 2015. Next Post Economic impact of Ebola: Time to panic?